A Chinese scientist who claims to have created the world’s first genetically edited babies has defended his work. Speaking at a genome summit in Hong Kong, He Jiankui said he was “proud” of altering the genes of twin girls so they could not contract HIV. His work, which he announced earlier this week, has not been verified. Many scientists have condemned his announcement. Such gene-editing work is banned in most countries, including China. Because the data have not been peer-reviewed, the fidelity of the gene editing process cannot be evaluated. 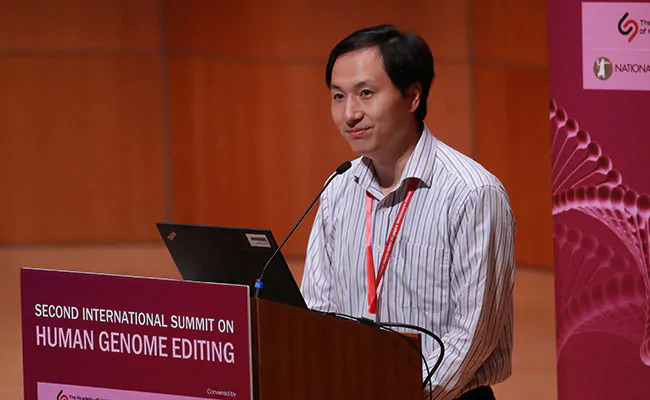 A Chinese scientist says that he's helped make the world's first gene-edited babies, AP reports.